I was in Buenos Aires for work last week and was either working, eating, drinking, or sleeping and didn’t have time for blogging or much else. In Argentina, people don’t eat dinner until sometime after 9pm. One night, we didn’t even finish eating until after 12:30am! I was worried about finding something to eat in Buenos Aires since I’d heard that they eat a lot of meat down there, primarily beef and pork, both of which I don’t eat. But luckily, they had plenty of grilled chicken, plenty of fried cheese, and tasty cheese empanadas. The empanada options there were typically either cheese or pork so I decided to come home and make my own with some chicken and spinach. 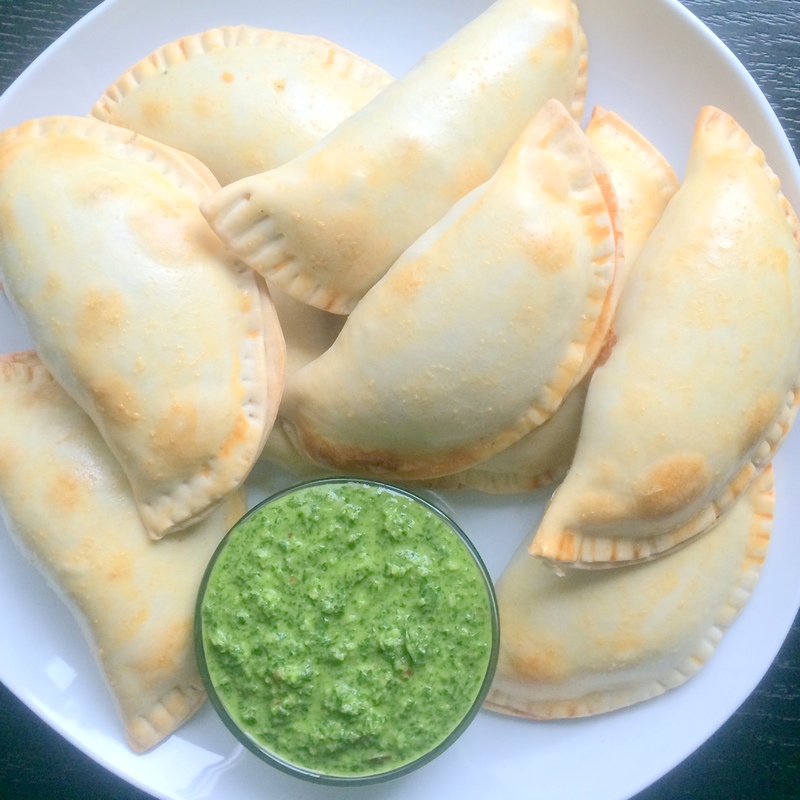 The result were these Smoky, Cheesy Chicken and Spinach Empanadas with Chimichurri Dipping Sauce. 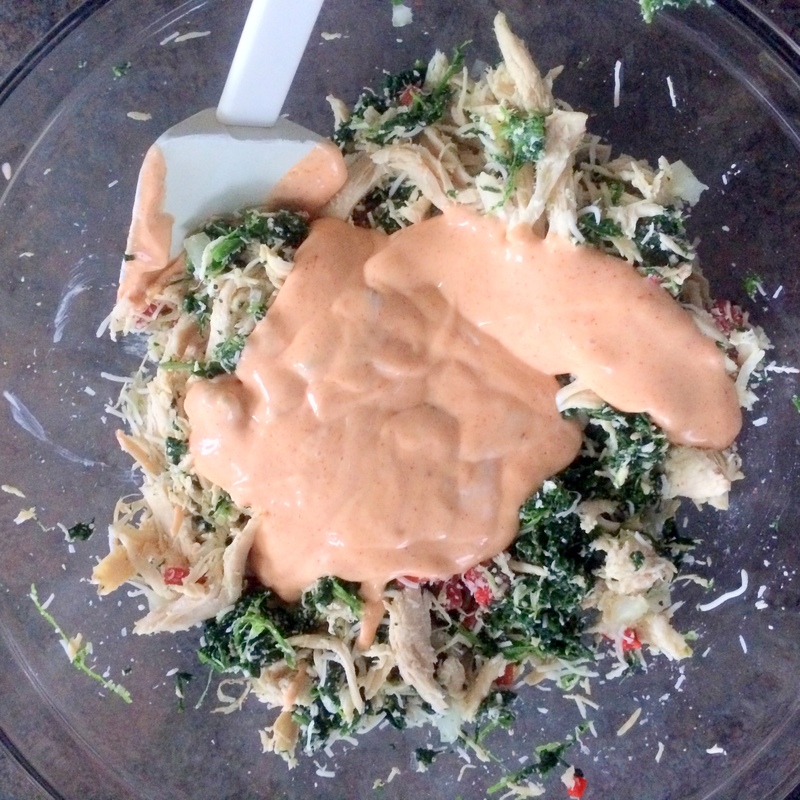 Precooked chicken, cheese, spinach, onion and pimientos are combined with a creamy mixture of cream cheese and smoked paprika before being folded into empanada dough and baked until golden brown. A quick chimichurri sauce of parsley, oregano, onion, garlic, red wine vinegar, olive oil, and red pepper flake adds a bold, fresh flavor which would also be a great addition to any beef, chicken or pasta dish. 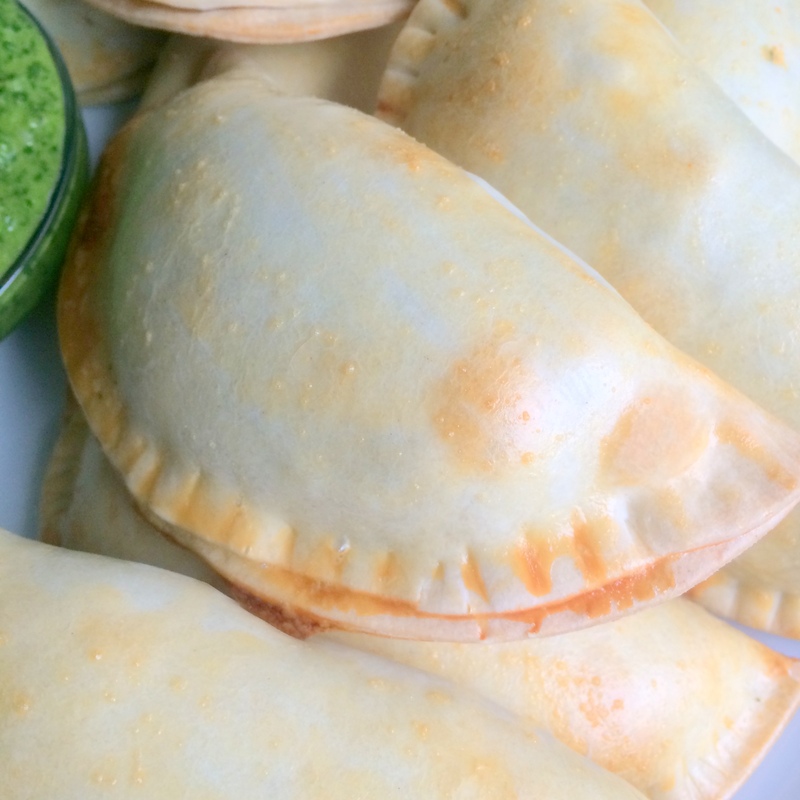 These empanadas are full of flavor and are perfect for a small meal on the go. Tip: I found the empanada dough discs in the freezer section of my market, near the international and vegetarian frozen meals. To quickly thaw the dough, remove the discs from the packaging, separate them by the paper between each one and sit at room temperature while you make the filling. 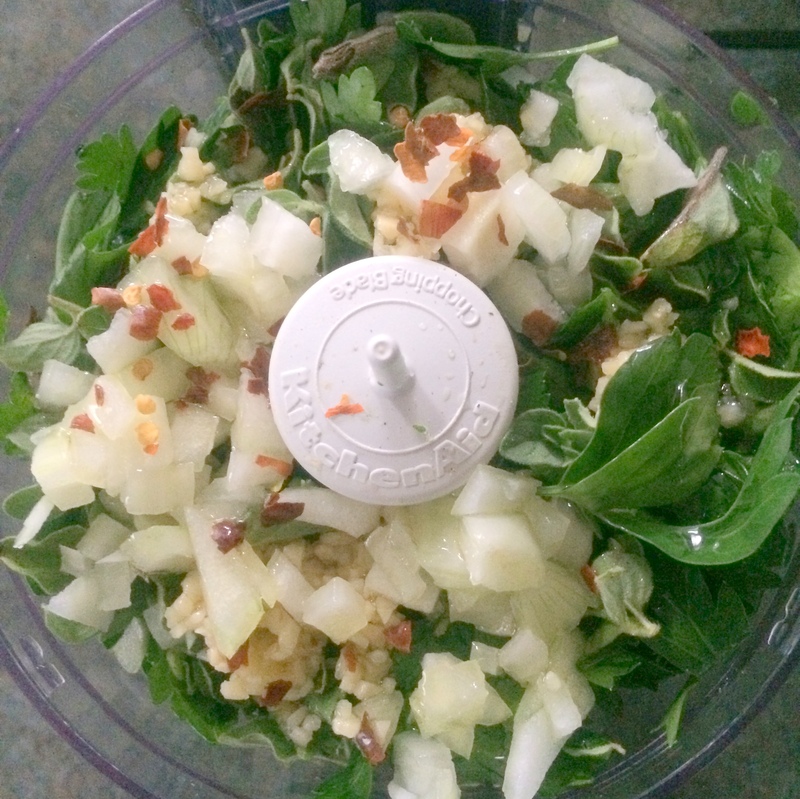 To prepare the empanadas, cook spinach according to package directions. Drain and cool slightly. 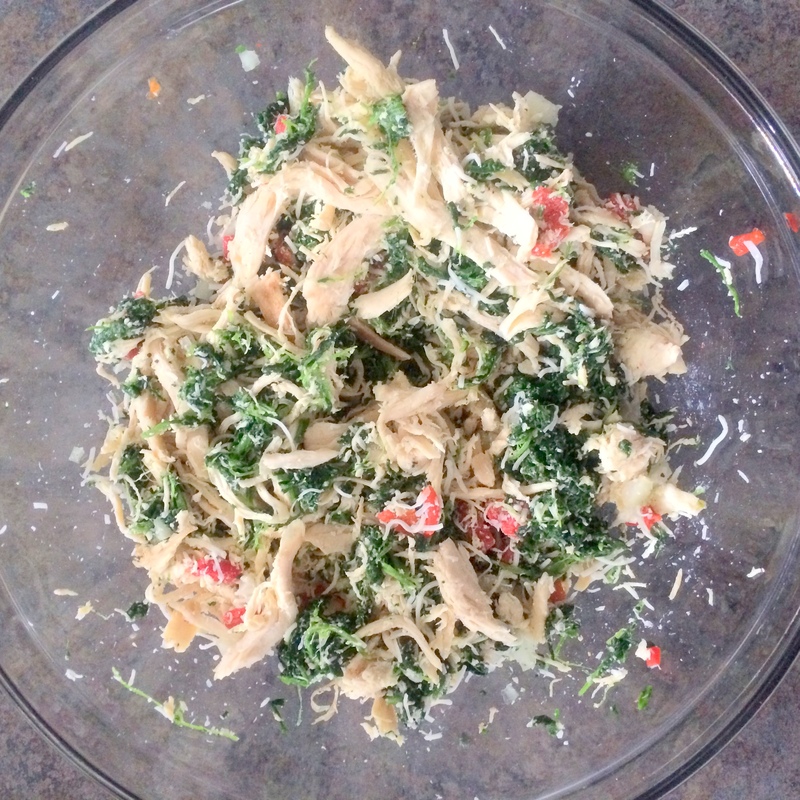 In a bowl, mix chicken, spinach, mozzarella cheese, pimientos, onion, and pepper. In a small saucepan, mix broth with cornstarch. Add cream cheese and smoked paprika. 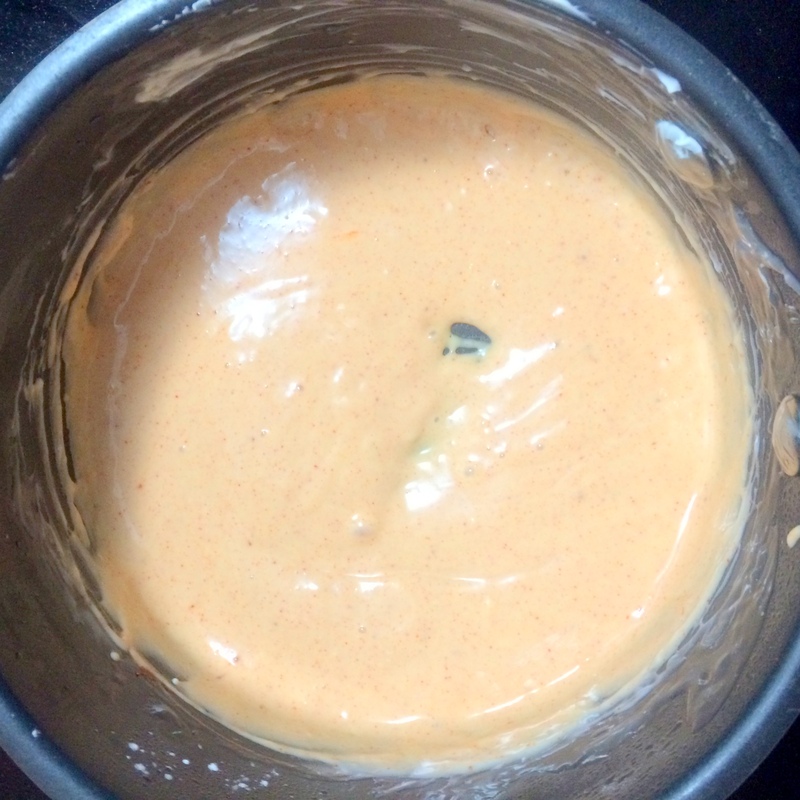 Whisk over high heat until mixture is boiling, 2 to 3 minutes. Scrape over chicken mixture and combine well, adding salt to taste. 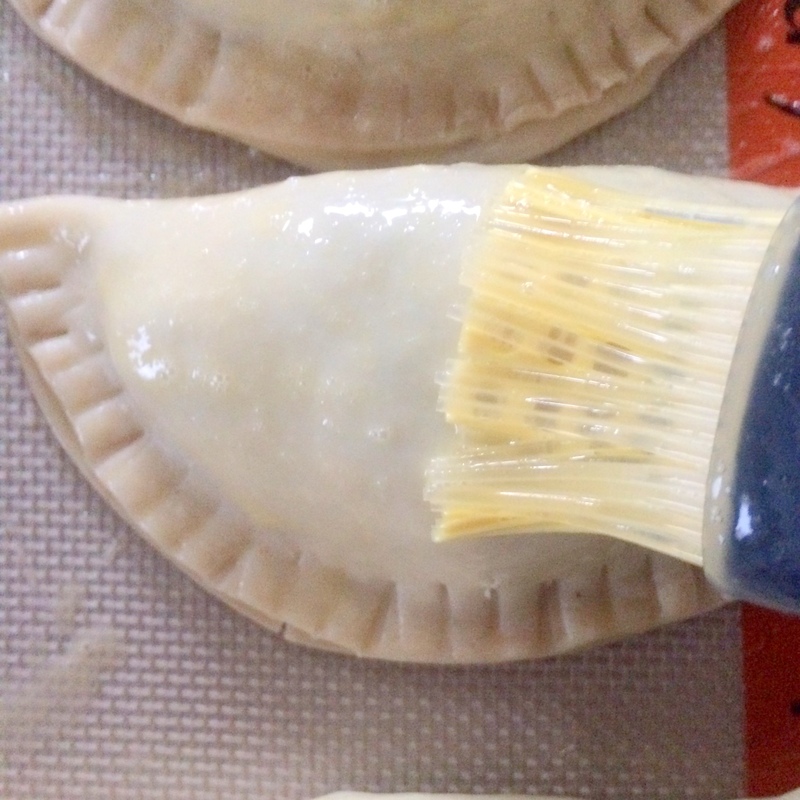 Place thawed empanada discs on a flat service. Stretch each disc carefully to expand dough slightly. On each disc, spoon heaping 2 tablespoons of chicken mixtures. 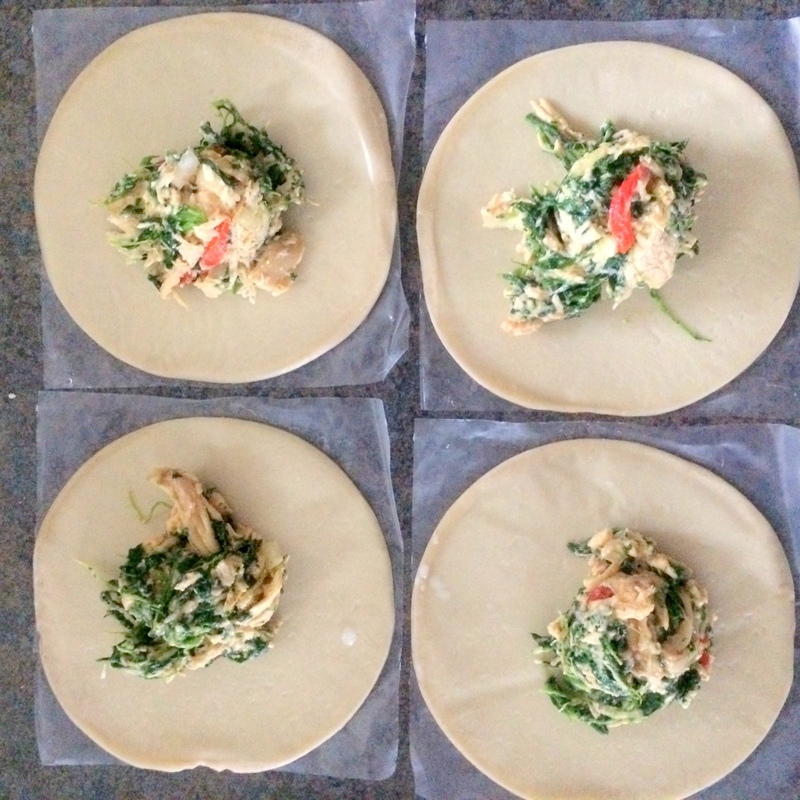 Fold dough over filling to form a semi-circle, then fold edges together and pinch to seal, using a fork. 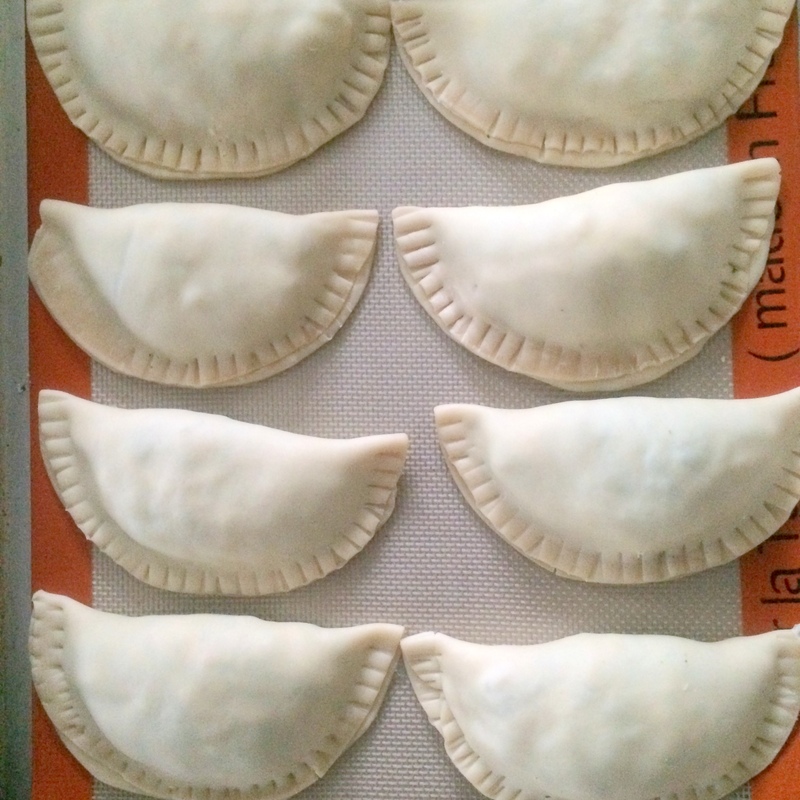 Gently place empanadas, slightly apart, on baking sheet. In a small bowl, beat egg to blend and brush generously over each pastry. 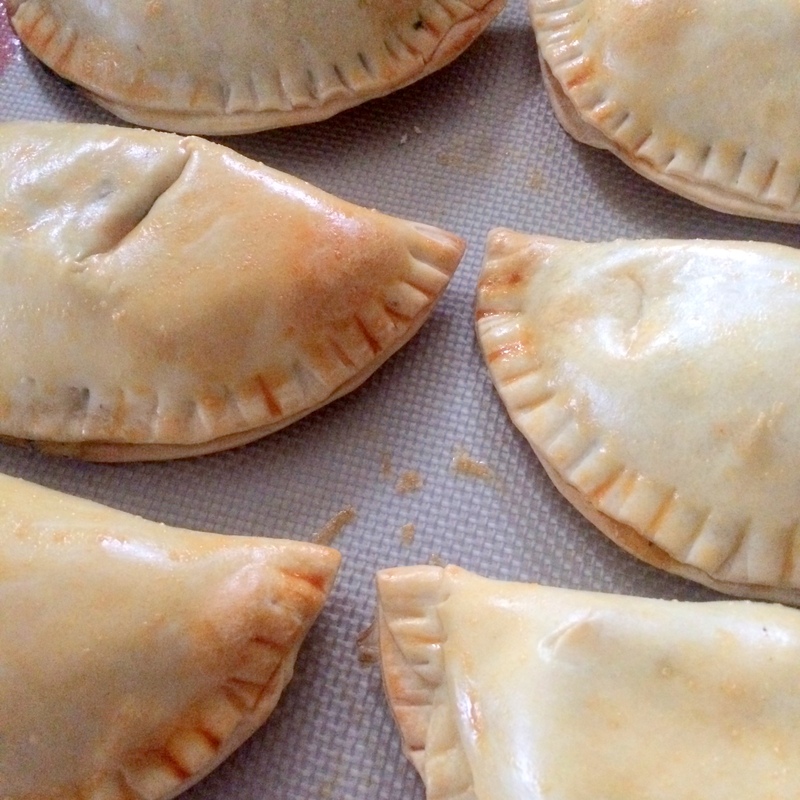 Bake in a 375°F oven until empanadas are golden browned, 25 minutes. Transfer to a rack and let cool at least 10 minutes. Serve hot or warm. 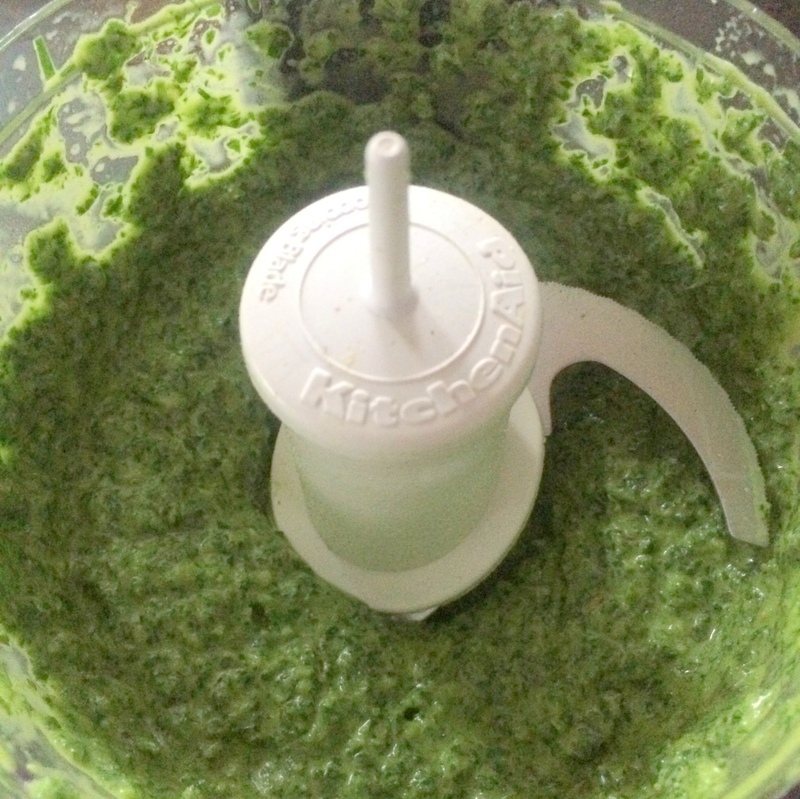 To prepare the chimichurri sauce, combine all ingredients in a food processor and pulse until desired consistency. Spoon into a bowl and serve with empanadas.